Chris Levine, The Geometry of Truth, 2015. ACS artist Chris Levine’s work has long been an investigation into the ways in which we accept and perceive light, and the effect it has on our sense of being. His latest show at The Fine Art Society is no exception. The Geometry of Truth is the latest chapter in the ACS member’s exploration of the nature of light and perception. 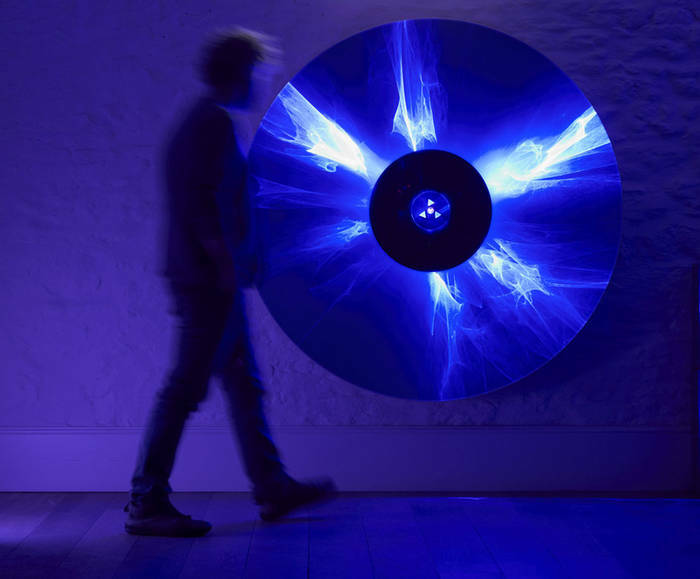 Using the medium of technology and light to communicate natural geometries, Levine invites visitors to step out of the kaleidoscope of ‘noise’ that surrounds their everyday life and step into a single frequency that has been determined by his composition of laser light set within archetypal forms. The result is a mediation of light and colour that elicits a powerful combination of both stillness and silence. For more information, visit The Fine Art Society’s website here.